Traditionally known as the "red maneuvers book," this handbook complies with current practical test standards and regulations. This fourth edition of the Visualized Flight Maneuvers Handbook for Low Wing Aircraft is an excellent learning and teaching aid for instructors and students, covering all the flight maneuvers required for Private, Sport, Commercial, and Flight Instructor certification. 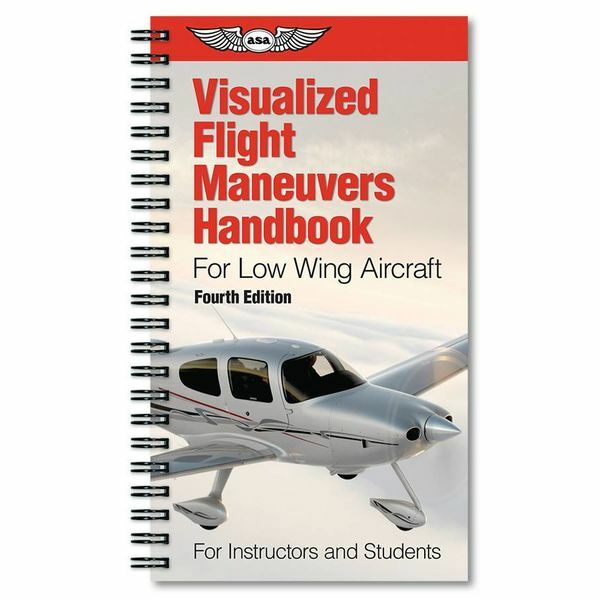 Each maneuver is depicted in detail according to type of aircraft in which the lesson will take place, states the objective of the task, and lists the FAA Certification Standards required. Fully illustrated with fold-out pages that show each maneuver complete on a one-page spread so the reader will absorb all the visual/text information at once. Compact and easy to carry, with spiral binding for easy access to the fold-out pages. The illustrated fold-outs show each maneuver step-by-step, so pilots understand what they should be looking for outside the cockpit window. 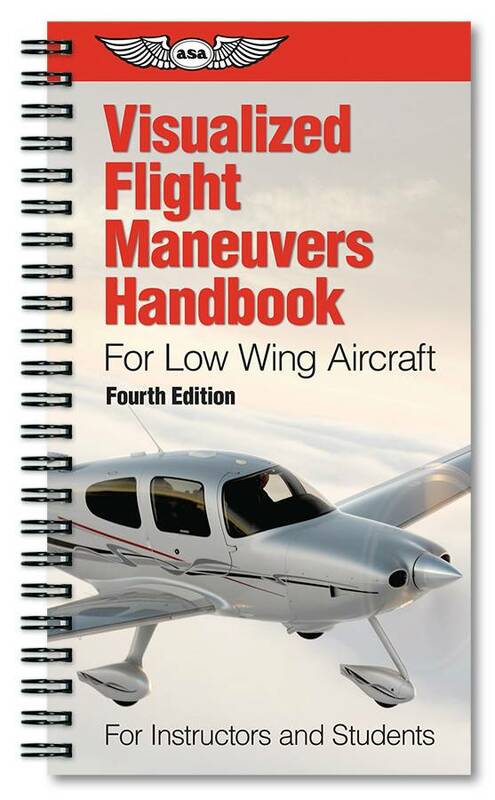 Contains full descriptions of stalls, slips, and ground reference maneuvers, as well as short, soft, and crosswind takeoffs and landings. Also included are suggested checklists for everything from preflight to takeoffs and landings, performance, and checkrides, and an easy-to-use index so pilots can quickly refer to any desired task.